There is a part of the world at the moment whose medical marijuana industry is estimated at $100 million, and it hasn’t even really begun yet. There is a part of the world at the moment whose medical marijuana industry is estimated at $100 million, and it hasn’t even really begun yet. Australia has just recently jumped on the legal medical marijuana bandwagon after a long time of prohibition and conservatism on the issue. However, last month the federal Parliament legalized the cultivation of medical marijuana and further regulations are under revision. Australia is expected to launch into a full power marijuana industry that will not only benefit the economy, but that will likely provide a lot of good job opportunities, too. There are many components to the marijuana industry that can be accounted for upon legalization such as growers, manufacturers of equipment and cannabis products. As another country jumps into the multi-billion dollar global industry, the reasons to legalize continue to grow and grow. Medical marijuana could be the solution to a number of problems all over the world, and Australia is becoming a perfect example of that. It’s important to take advantage of how beneficial legalizing marijuana is to the economy, the people and the government. It seems Australians are going to have no problem doing so. The University of Sydney Business School released the figure of $100 million as an estimate to how big the industry will be in its first year of legalization. “We’re not talking about increased uptake, exports, and that doesn’t include the next tech billionaire who develops an app [to tap into the market)” – Michael Katz, the University of Sydney Business School’s associate lecturer. The addition to the economy doesn’t just help the country make more money, but it also will provide the opportunity for a range of new skilled jobs. This is a benefit for both the people and the economy. Most importantly, a number of Australians are expected to benefit medically from this change. Medical marijuana will be available to treat patients suffering from cancer, epilepsy, multiple sclerosis and chronic pain.This is the most important benefit and the most important purpose of medical marijuana legalization. Australia is expected to become one of the leaders of medical marijuana as a result of the change in medical marijuana policy. This is particularly so in the area of exports, expecting to do better than world class exporters such as Mongolia. Basically, the reputation for Australian products in general is quite high, and so the standard they are bringing to the table is high from the beginning. The potential for a medical cannabis market in Australia is enormous and in a variety of different ways. 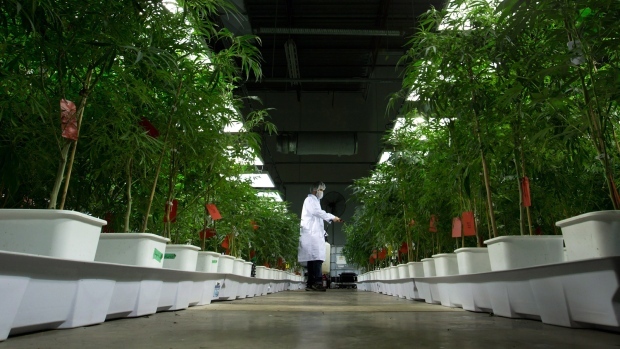 In fact, the authors of the paper released by the University of Sydney suggested that there would need to be 51,000 square meters of marijuana cultivation happening to meet the demand right now. There is no predicting how much the medical marijuana industry could grow in Australia when it is starting its career at a number like that. How do you think Australia will match up in the medical marijuana market? Let us know your thoughts on our social media or in the comments below.